The importance of rental listings can’t be overestimated. There is perhaps no better marketing strategy for today’s passive income investors, and for good reason: rental property listings have become synonymous with an attractive return on investment (ROI). Understanding how to write a rental ad can increase your exposure almost exponentially, and without breaking the bank. That said, writing rental listings isn’t as simple as putting pen to paper; you need to know what you are doing. For as good as a great listing is for your property, a poor listing can be equally damaging. If you want to avoid devastating vacancies and increase your cash flow, you need to know everything about a good rental property listing, and this is a good place to start. Truly great rental listings are nothing, if not a numbers game. The more places an investor can post their rental listing, the more likely they will be to fill any vacancies looming over their properties. It is, therefore, in the best interest of today’s investors to maximize their exposure by increasing the number of outlets they use to promote their properties. As I already alluded to, there’s more than one way to create a rental listing that demands responses. However, there isn’t a single strategy that doesn’t include the three elements I highlighted above. 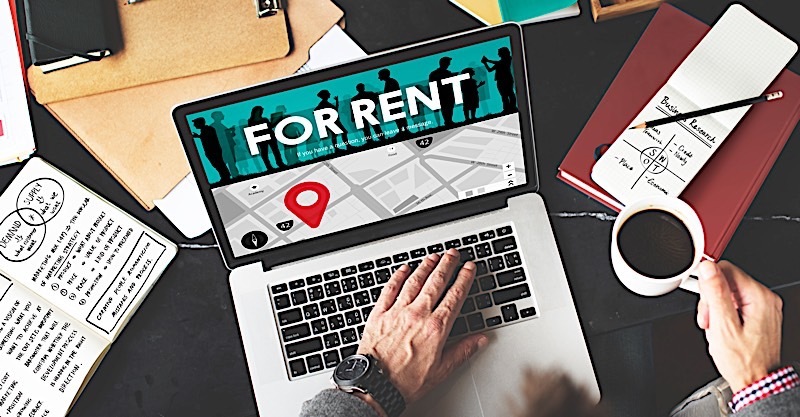 It’s only once these three elements are introduced to a sound marketing strategy that rental property listings will realize their full potential. It should go without saying, but the single most important aspect of rental listings is the title. In fact, you could argue a rental listing is only as good as the title introducing it. It is the title, after all, that’ll entice the reader to inquire further. More often than not, the title serves as the only point of contact between a prospective renter and an investor’s property. Therefore, it’s safe to assume it’s the title’s job to not only grab the attention of the reader, but also to convince them that the listing is worth reading. Anything less is unacceptable, and could result in far less exposure. Having A Hard Time Finding A Place To Rent? This Is The Rental Property You Have Been Looking For! Each of these titles hit on something I like to call “pain points.” More specifically, each title is designed to strike a chord with a certain renter population in a way that demands a response. Notice how each poses as a solution to a specific problem? That’s what you want your title to do; you want it to offer the solution the renter has been looking for. Once you are certain you have a good title in place, proceed to draft a call to action (CTA). As their names suggest, calls to action elicit a response from readers and direct them how to proceed. When writing rental listings, calls to action should persuade renters to act as soon as possible. Not only that, but a call to action must also tell them how to act. Make sure each prospect knows how to get a hold of you. Following the call to action, provide the best ways for them to reach you, whether it’s email or phone. Even the best calls to action won’t produce any results if the interested party has not method of contacting you. Finally, last but not least, every great rental listing will come complete with professional photos — emphasis on professional. It is no longer acceptable to use your phone to take photos of your property — not unless you want your property to sit vacant for longer. Today’s best rental listings come complete with professional photos that have been enhanced in post-production efforts. Not only that, but they are taken carefully and with one intention in mind: to paint the property in the best light possible. Despite how good you may think you are at taking pictures with your phone, professional photography is worth the price it will cost. Data suggests, real estate photography can’t only help homes rent faster, but for more money, too. Mind Seasonality: Far too many landlords are content reusing photos and descriptions of their properties, year in and year out. It is worth noting, however, that recycling outdated content — even if it’s only a few months old — could do more harm than good. Photos of the home in summer, for example, won’t suggest a new listing if they are posted over the course of winter. If anything, prospective renters will realize the photos were taken a long time ago and question why the property has sat unrented for so long. The same can be said about the description, which, as you may have already guessed, should reflect the current season. Convey A Clear & Concise Message: Instead of cramming as much information as you can into a post, pay special considerations to the length of your rental listings. While it may sound like a good idea to overload each post with relevant information, it’s in your best interest to convey a clear and concise message. The rental listing should answer more questions than they propose, or else you run the risk of turning away potential renters. Your main priority should be to get your message across as quickly as possible, as not to bore the readers that actually found their way to your rental listings. Take Professional Photos: As I already mentioned, it’s not enough to simply post photos you took with your camera phone on your rental listings. Despite how far technology has come photos taken with your camera will pale in comparison to those taken by a professional with a good DSLR camera. What’s more, professionally taken photos have proven to rent properties out faster and for more money than poorly taken pictures. If you are going to create a rental listing that works, you need good photos — it’s as simple as that. Don’t Hide The Price: For one reason or another, prospective landlords like to hide the price of their rental listings; they think it’ll help them when negotiations take place down the road, but I digress. Not including the price on rental property listings will scare more people away than it brings in. Instead of leaving the price out, simply price the listing accordingly. Exercise Humility: More specifically, refrain from overselling your rental listings. Understanding how to write a rental ad has more to do with humility than overconfidence. In other words, don’t overdo it. Not surprisingly, the real estate market is full of potential renters, and many of them need a place to stay. There’s no need to oversell your product when there will most likely be renters lining up to see your property. Simply identify the amenities renters appreciate most, and let the photos do the rest. Rental listings are an art form; they must speak to those that spend the time searching for them. That said, what you say in each of your rental property listings speaks volumes about your own asset. Therefore, writing rental listings can’t be underestimated. If for nothing else, a proper post could mean the difference between a cash flowing investment each and every month, and a costly vacancy that detracts from your bottom line. If you are more interested in the former, I highly recommend implementing these rental listings tips in your own strategies. The process of writing rental listings can be easy to underestimate, but I can assure you it’s in your best interest to give it your undivided attention. MLS rental listings aren’t the only way to post a property for rent; there are several options at your disposal if you stop and think about it. Good rental listings aren’t complete without a proper house rental application to compliment them.